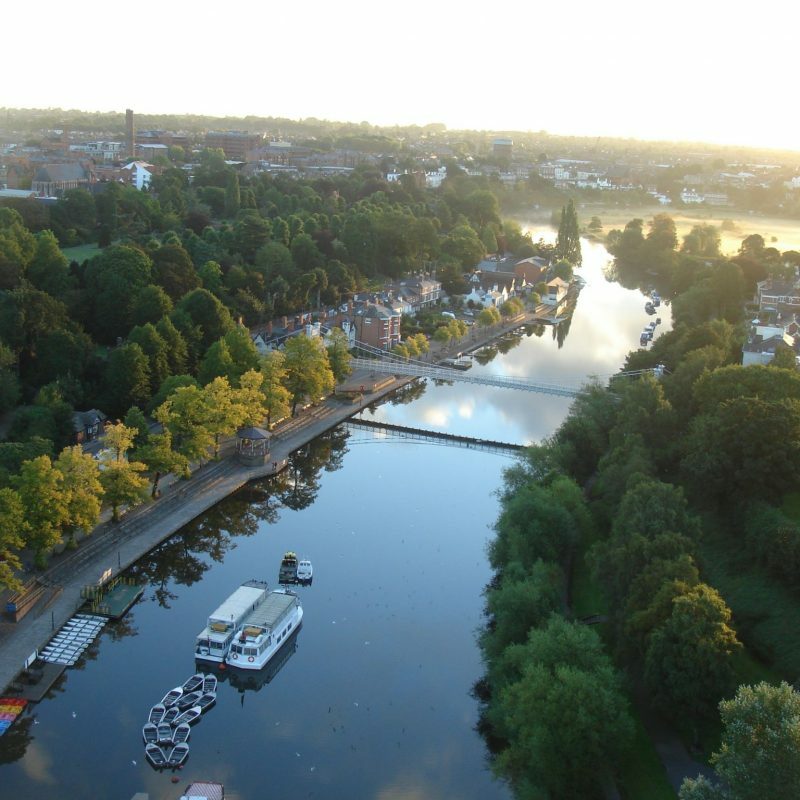 Escape the hustle and bustle of the city, and let us sail you away along the River Dee: from the elegant waterfront on The Groves, past beautiful Georgian townhouses and manicured riverside gardens and into the green pastures of the Eaton Estate, home of the Duke of Westminster. Open: Mon – Sun 11am – 5pm. Address: Souters Lane, The Groves, Chester CH1 1SD. Picture yourself on a boat on a river…. 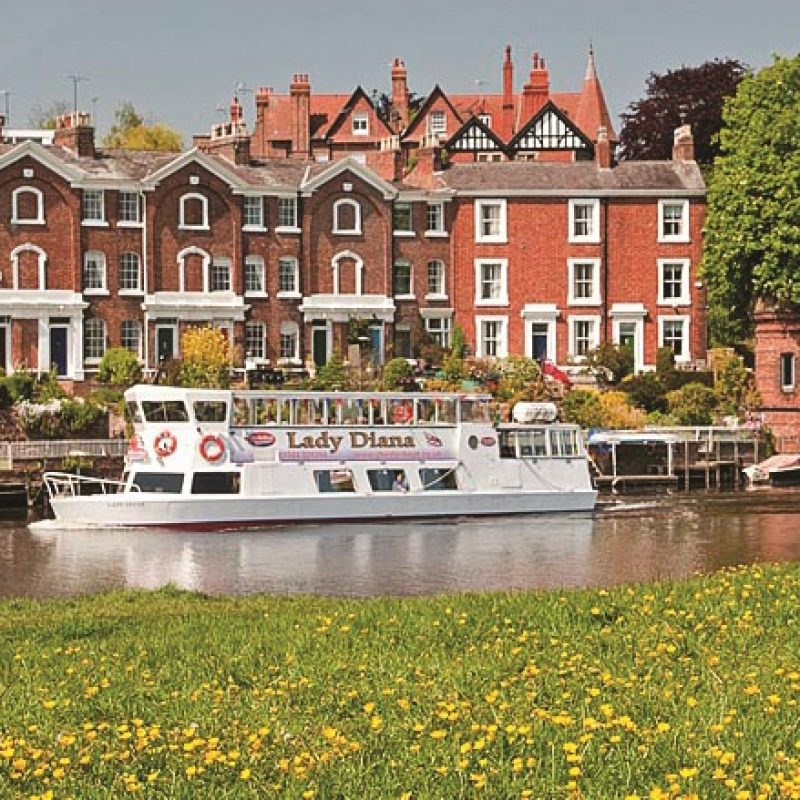 Sailing’s our business: we’ve been welcoming guests on board for sightseeing cruises along Chester’s glorious River Dee for over 30 years. Our delightful and restorative 30-minute City Cruise: sails past parks, meadows, and spectacular scenery along the River Dee; plenty to see and enough time for a relaxing drink from the bar. 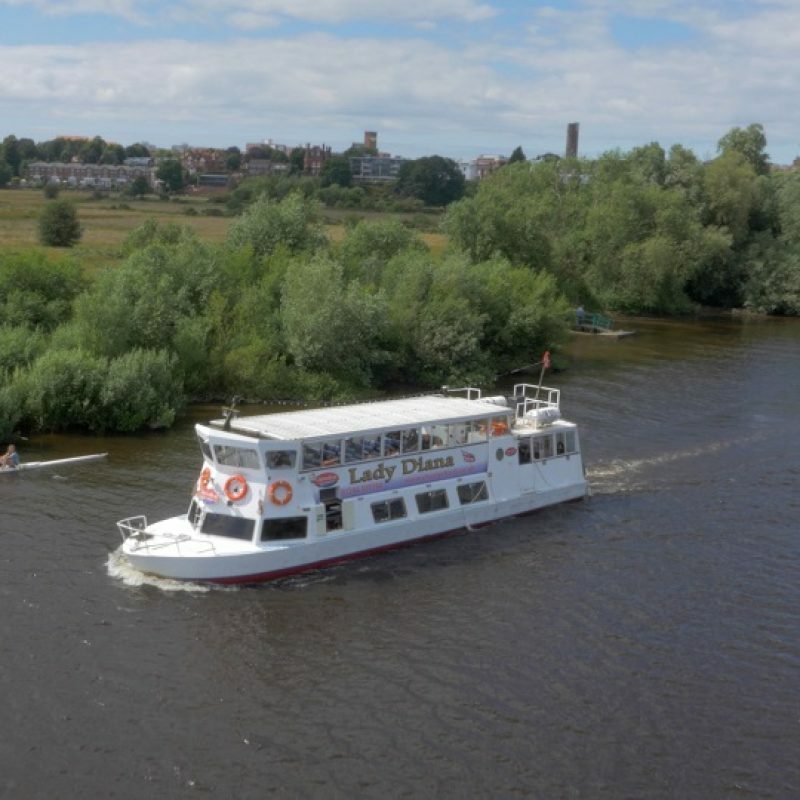 There’s at least one sailing an hour between 11am and 5pm each day, so you can often just walk up and step aboard, although we advise that you book online to guarantee a place – you can make great savings booking online too. 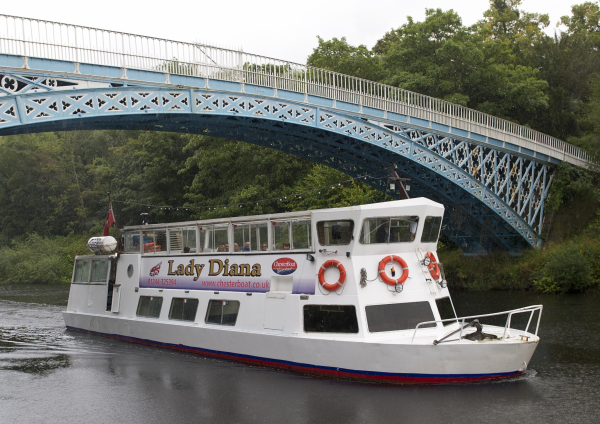 Our Two-hour Iron Bridge Cruise sets sail from our boat house on The Groves and heads out into the stunning Cheshire countryside. 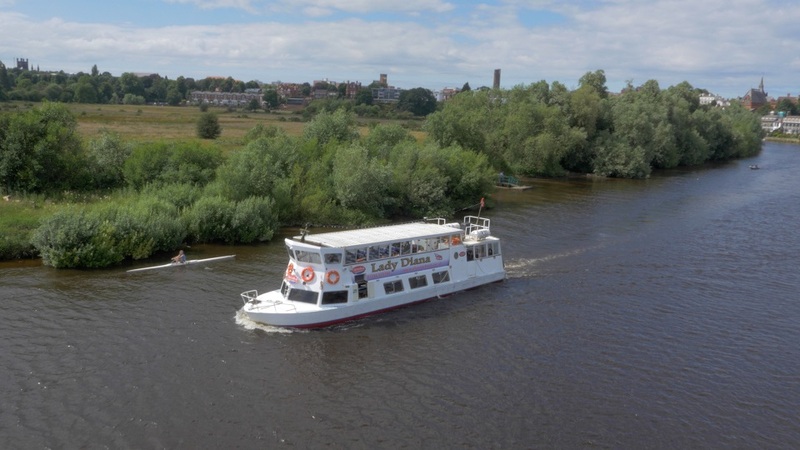 This is a wonderfully tranquil stretch of the Dee, where you might spot herons, kingfishers, dragonflies and other wildlife. We’ll pass by Heronbridge and the picturesque Eccleston Ferry, then meander around the Crook of Dee before passing under the famous Victorian iron bridge at Aldford before heading back to the city. 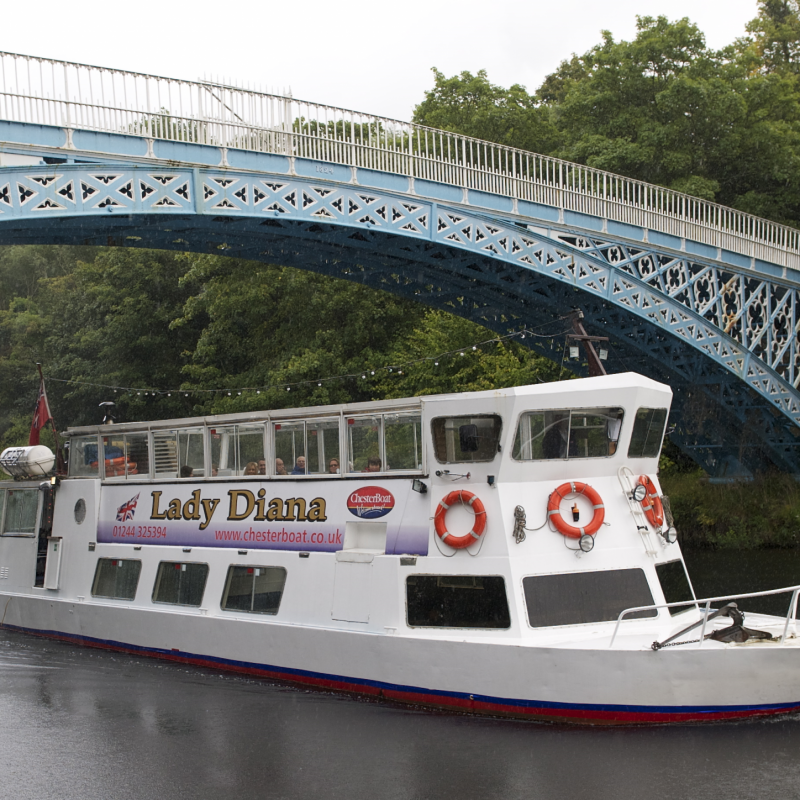 We have two sailings a day, at noon and 2.30: perfect for a leisurely packed lunch. 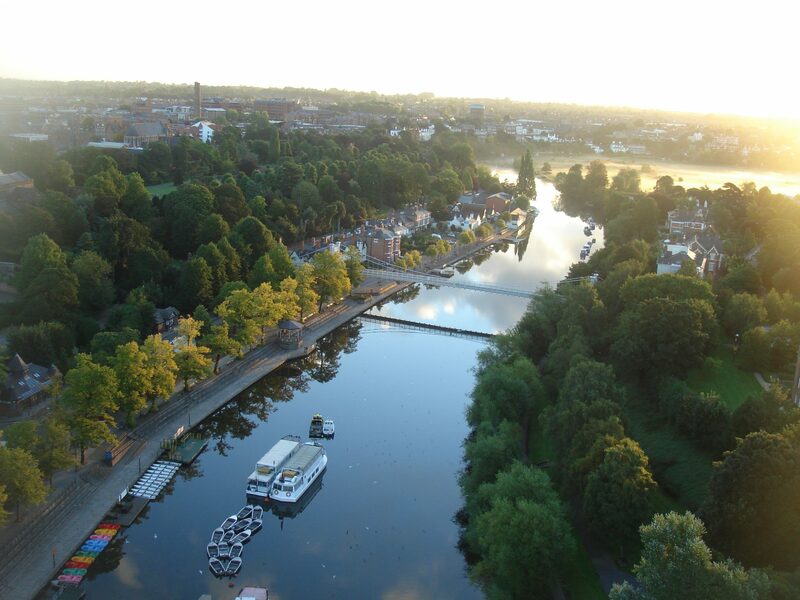 Both cruises feature an informative audio commentary about the river, the city and their histories. 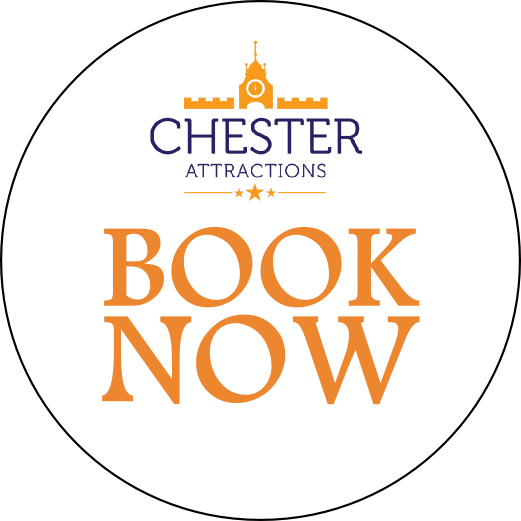 If you want to see more of Chester, without pounding the pavements after disembarking, you can enjoy our historic city from an open-top bus. 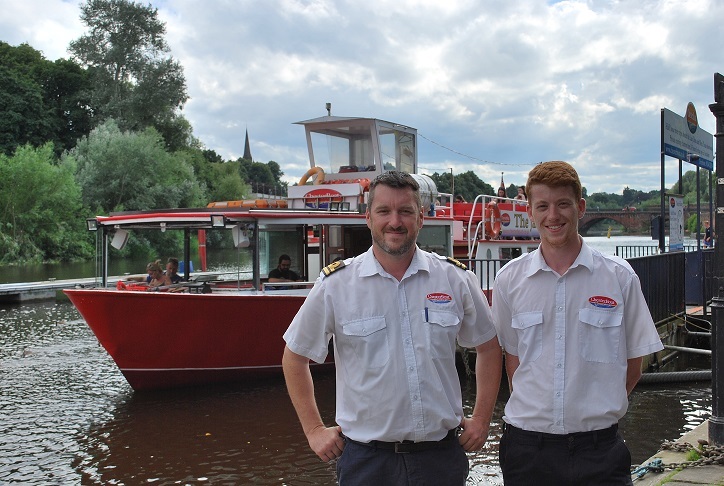 We’ve teamed up with City Sightseeing to offer great value combined Bus and Boat Tickets. 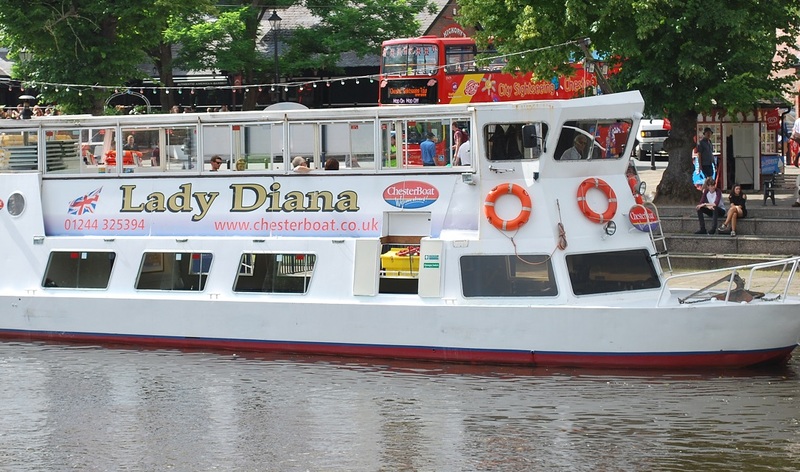 Hop aboard, then hop on and hop off: there’s no better way to see Chester from an altogether different angle. 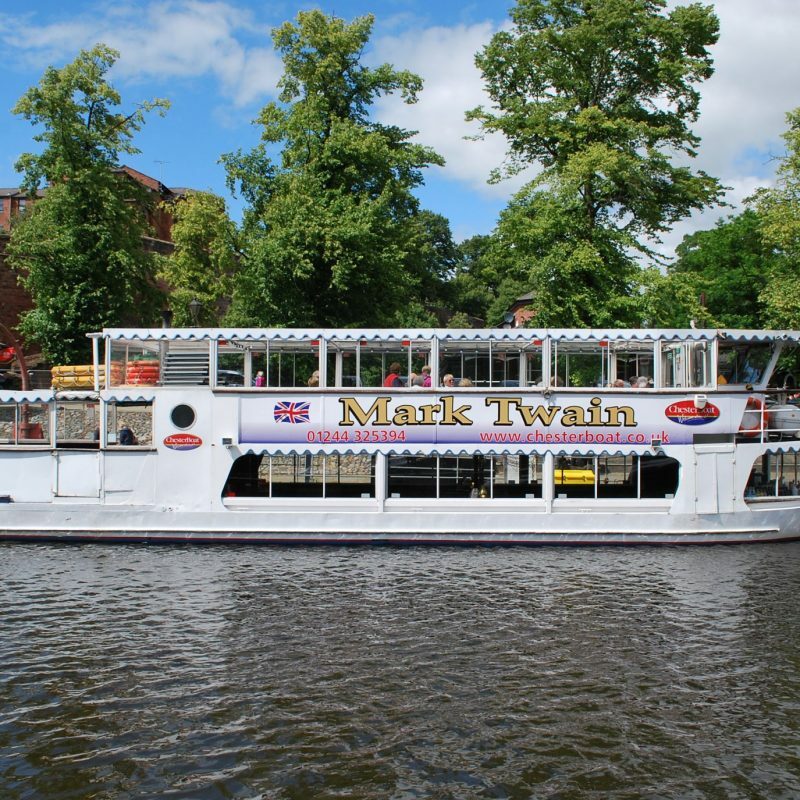 We’ve a range of family-friendly themed boat trips too: our monthly Fish and Chip cruise is a fantastic after-school Friday treat; join us for Curry and Quiz nights or enjoy an elegant Vintage Afternoon Tea afloat. And when the sun goes down, we’re ready to party! 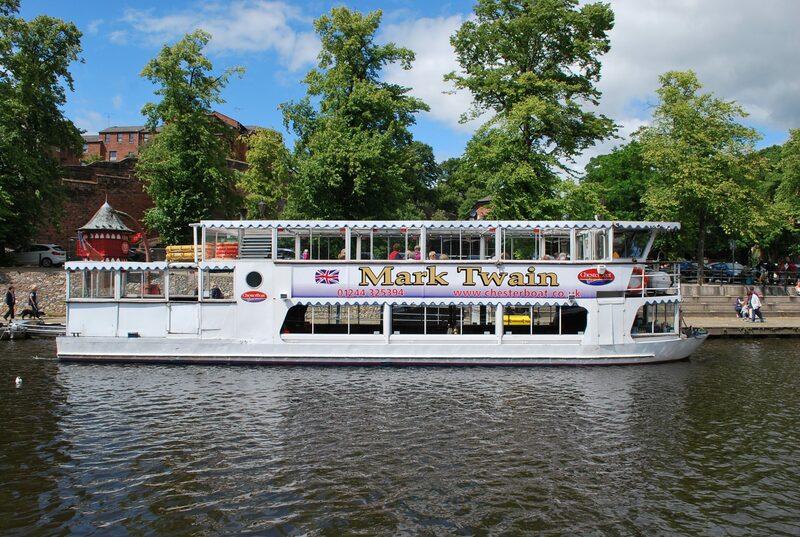 Step aboard for a night out with a difference. 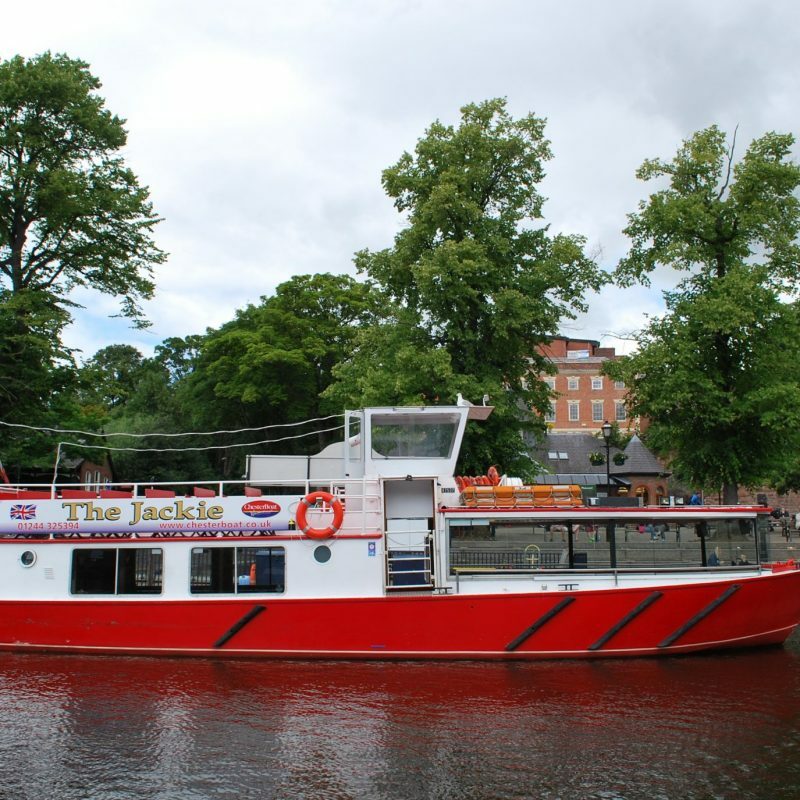 Our on-board DJ will play favourite floor fillers from the 60s, 70s, 80s, 90s and beyond as you dance your way along the river. Just choose your theme – or your era! 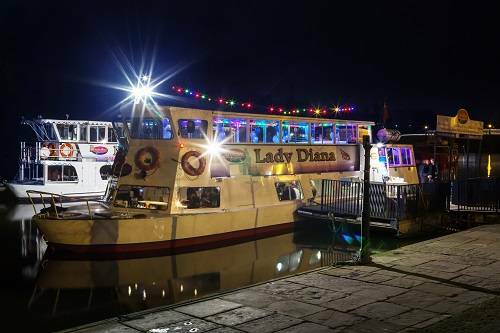 Party nights afloat are great fun for office parties, hen nights, birthdays, proms or any occasion where you want to have fun. Find our full programme online – and save cash by booking online too. And if you’re after something a little more exclusive, your carriage awaits! 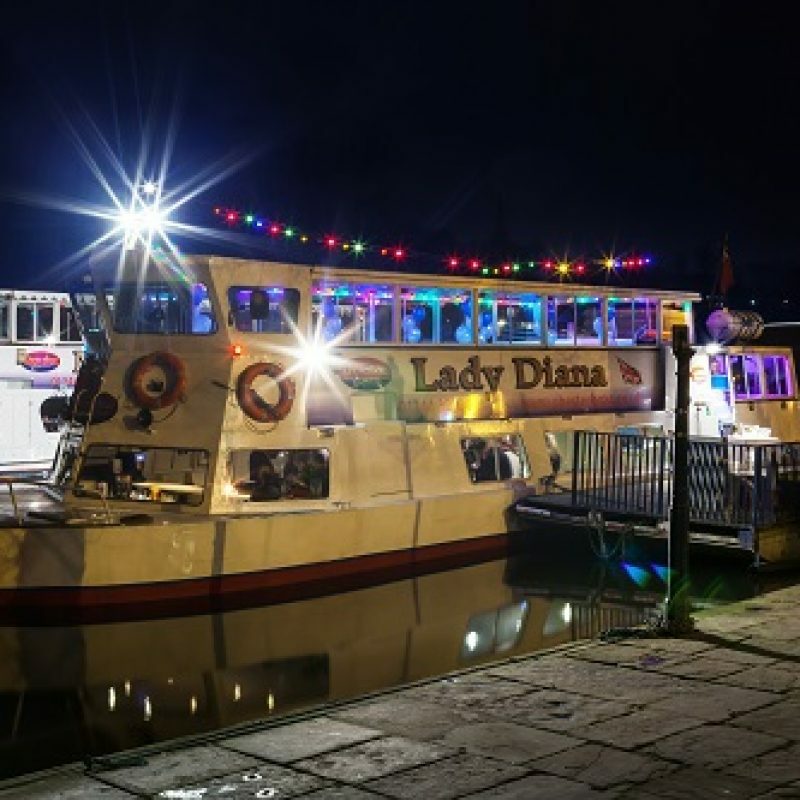 You can charter any of our three riverboats for private parties, corporate events, weddings, civil partnerships, dining or even casino nights. 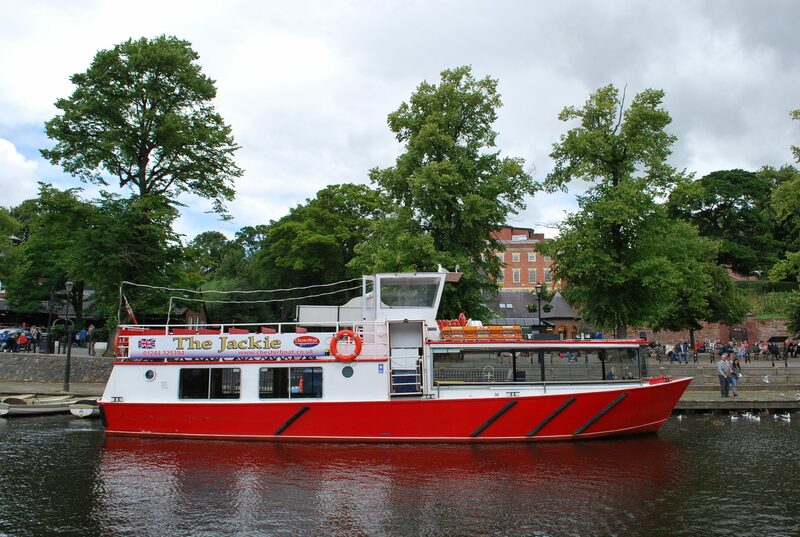 Our fleet of three comfortable, recently refurbished craft all have a well-stocked, licenced bar, with bottled beers, ciders and ales; wines and spirits; soft drinks; hot drinks and snacks. They all have enclosed, heated saloons for cooler days and you’re fully protected from the elements, whatever the weather. 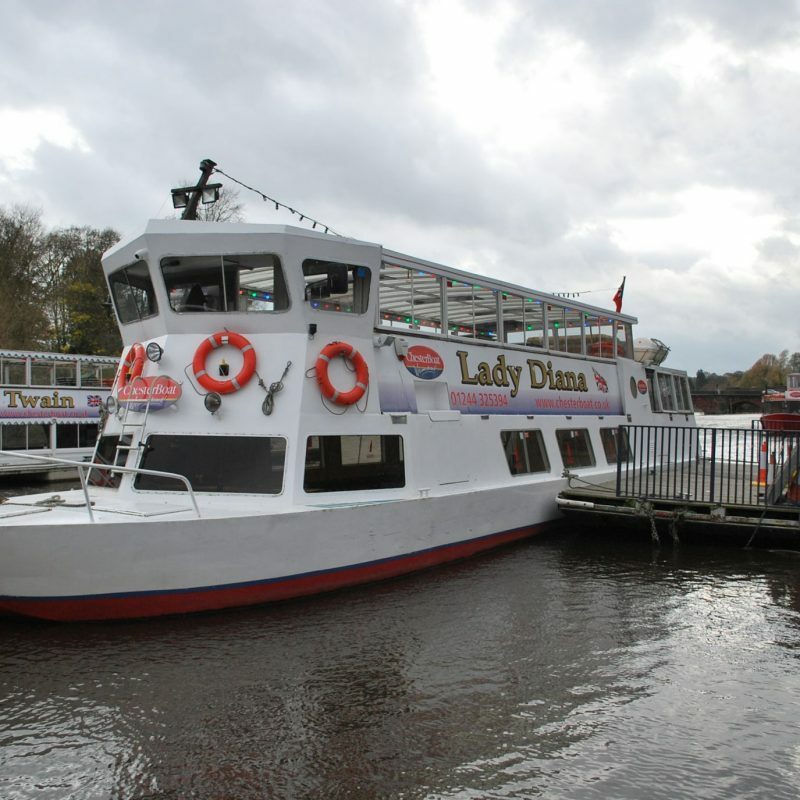 Our beautiful riverboat The Lady Diana holds up to 120 guests; The Mark Twain, up to 70; and The Jackie – the baby of our fleet – boasts an open-top sundeck and can accommodate 40 people over two levels. 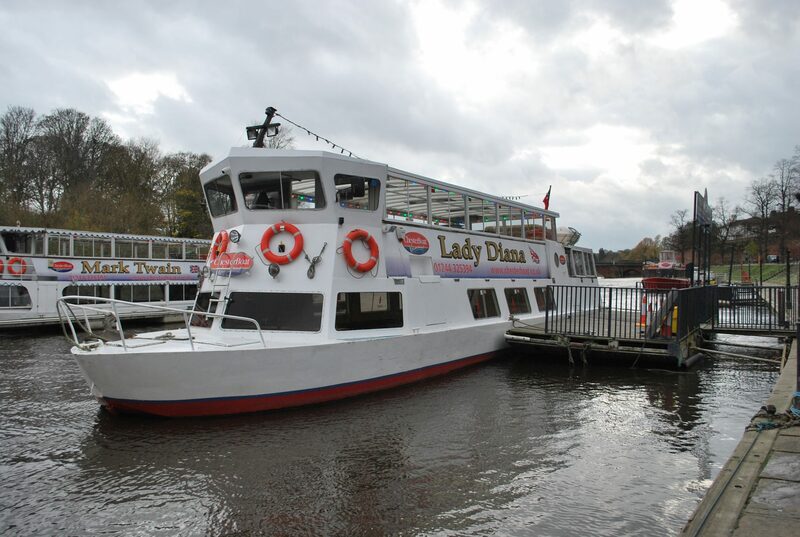 The Lady Diana and the Mark Twain are both accessible for wheelchair users: see our Access Statement for detailed information. 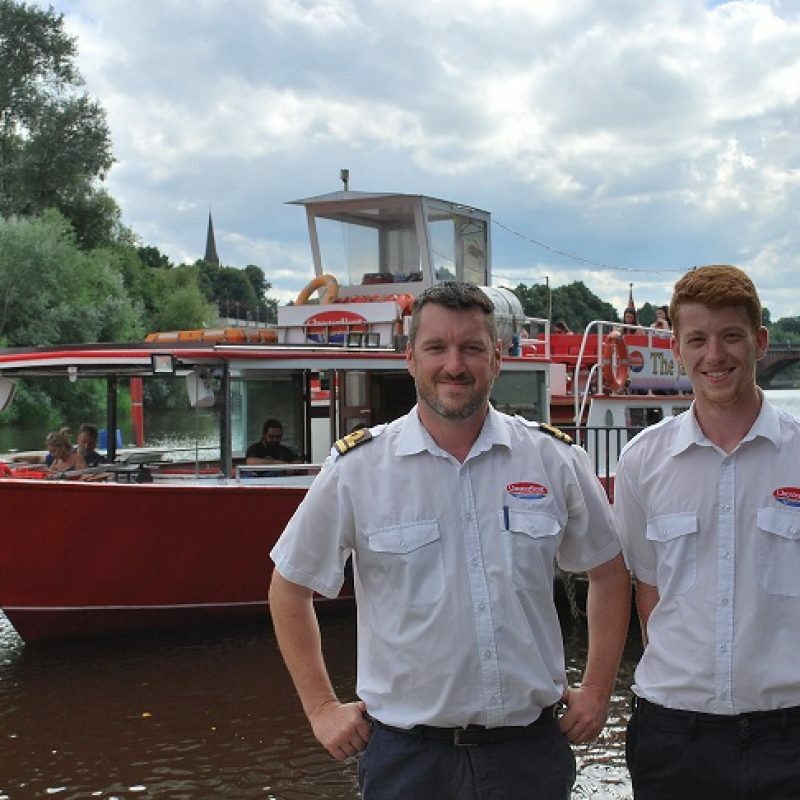 Cheshire Boats is a traditional, family-run business, where our passengers come first. We do everything we can to make sure you have a wonderful time. 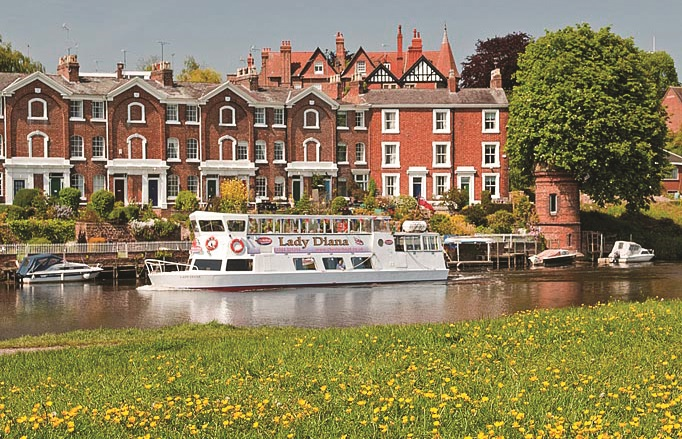 We sail all year-round; so whatever the weather, you’ll always be guaranteed a warm welcome. If you would like information regarding the accessibility of our premises and our passenger vessels, please refer to our Access Statement. 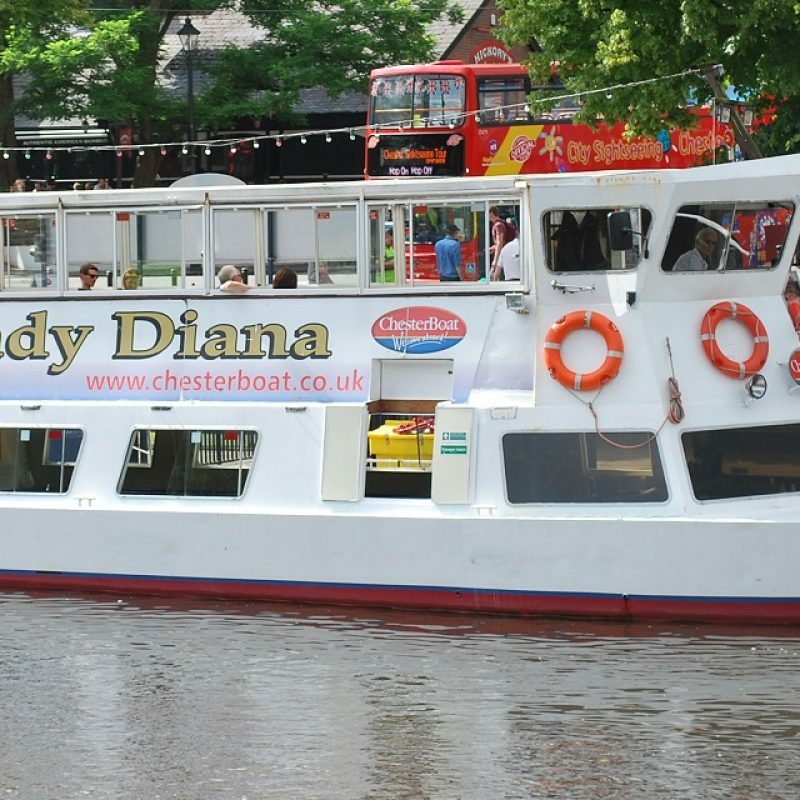 If you have any questions prior to your visit, please do not hesitate to call us on 01244 325394 or email us at enquiries@chesterboat.co.uk.